Skiing and snowboarding the Canadian Rockies is an experience of a lifetime. Venture into a majestic, unspoiled wilderness where carved trails, chutes, bowls and long, rolling runs elevate skiing and riding to a dream-like experience. There are 3 ski resorts to choose from, including Lake Louise Ski Resort just 5 minutes away. 5 minutes from the Mountaineer Lodge and a free ski shuttle gets you skiing at Lake Louise Ski Resort quickly and conveniently. Boasting 4,200 acres, "The Lake" is one of the largest ski areas, and most loved, in North America. 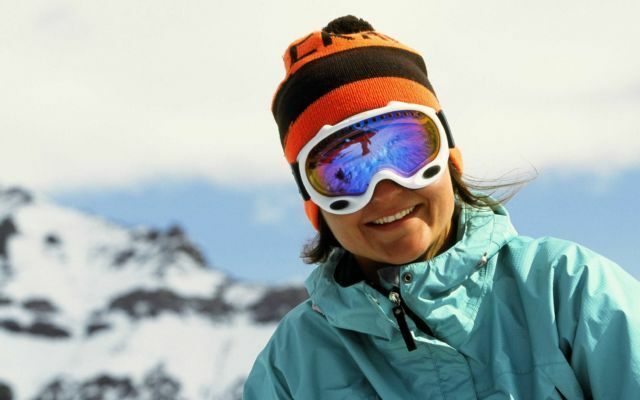 Get to know the other ski resorts as well. 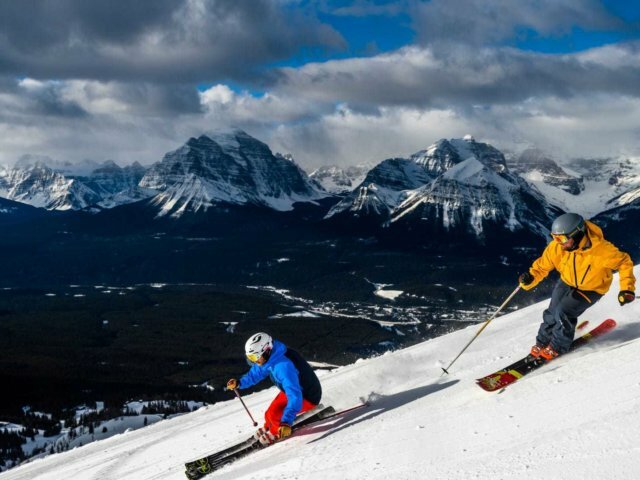 The Lake Louise Ski Resort offers group lessons, private lessons, and even a first tracks experience. The first tracks experience puts you on the mountain with a professional guide/instructor 30 minutes prior to opening for the ultimate ski experience. A short walk from the Mountaineer Lodge, Wilson Mountain Sports has a huge variety of skis and boards, helmets and gear for an epic day on the hill. Mountaineer Lodge guests even enjoy a little discount - bonus!